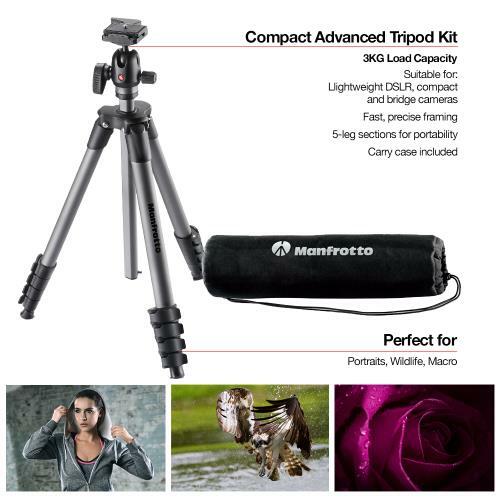 The Manfrotto Compact Advanced Aluminium Tripod features a solid aluminium friction ball head which allows you to perform micro-movements without opening and closing the headlock. The end result is both quick and accurate framing of your subject. Perfect if you are using a DSLR or Mirrorless camera with standard zoom lenses up to 200mm. The friction ball head is combined with reinforced five-section tubes, giving you a high performance on every shoot. 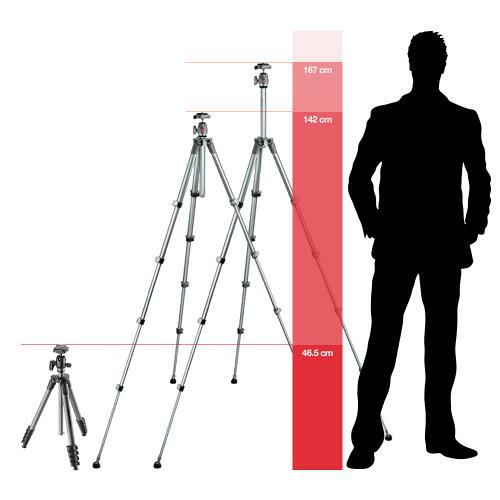 This offers you both rigid support and the ability to reach a maximum height of 167cm. 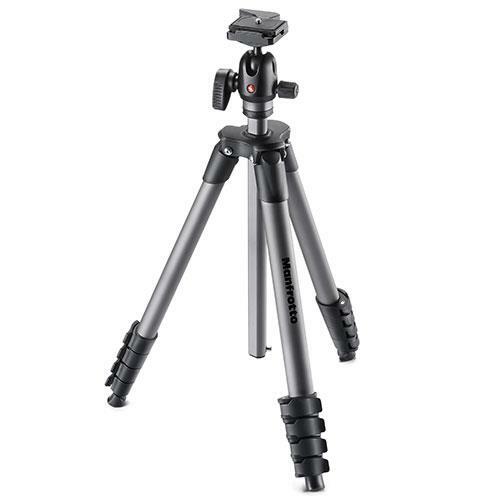 Compatible with any camera up to 3Kg, this tripod with head gives you maximum compatibility. Also included is a special adapter for your use if you have a higher specification camera. 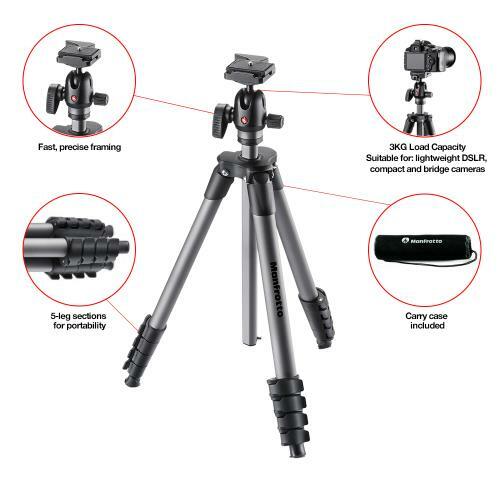 By increasing the mounting thread surface area for these cameras, the tripod with head ensures your camera is securely fitted for safety and stability. Made to be portable, the ball head can be easily folded.